casting the depths into shadow. settling into the corners of the day. as she gently cradles the old moon in her arms. *** a revision of a previously posted poem. 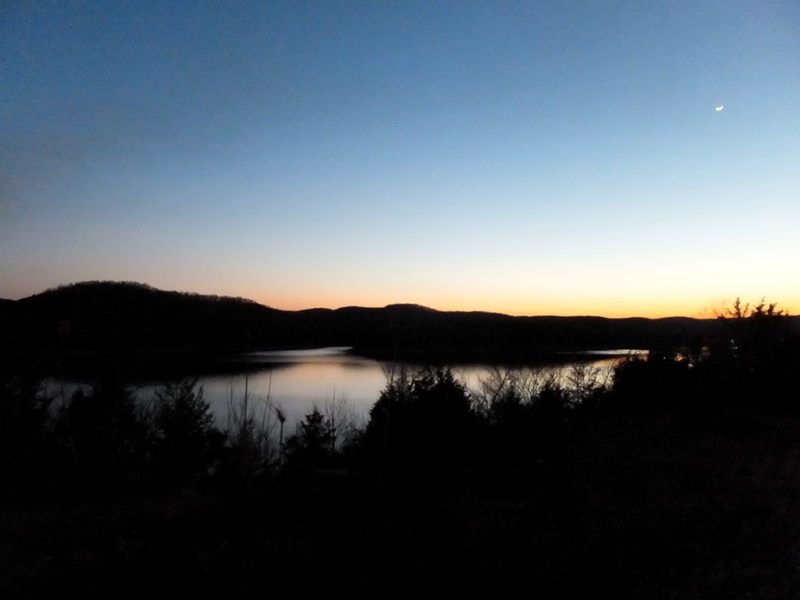 This entry was posted in Nature, Ozarks, Poems and tagged crescent moon, moon, poetry, seasons, spring, table rock lake by The Course of Our Seasons. Bookmark the permalink. wow… you really made it come all the way in that last line.. the imagery of dusk both morose and sweet at the same time. Very lovely. I envy you being able to watch the dusk fade into darkness over water and then, next morning, watch the light return. I could sit at the window and just watch that forever. Living within sight and sound of water is my soul’s longing. Oh my goodness, this is spectacular–I LOVE that final line so much! Ahh, the image in those last two lines is perfection!